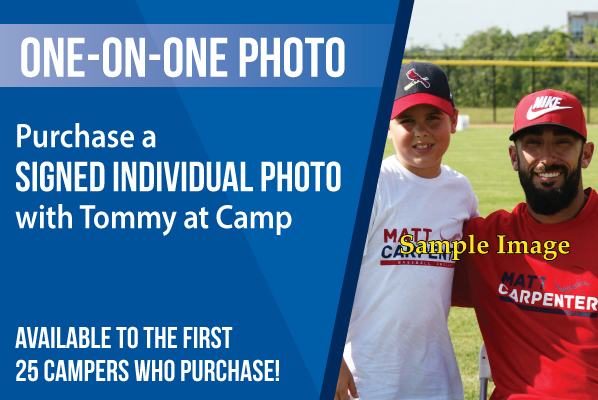 You have the opportunity to order a signed individual photo of your camper with Tommy Pham, signed by Tommy at camp! Don't miss out on this very special opportunity to purchase this memorable keepsake. Call Alex at (513) 745-5866 to upgrade your registration. Office hours are 9:00 AM - 5:00 PM ET.